Arachnoboards that needed to sell off a few. One-inch slings should be bigger than the OBT slings, right? Right? Domino, Aviculara diversipe. 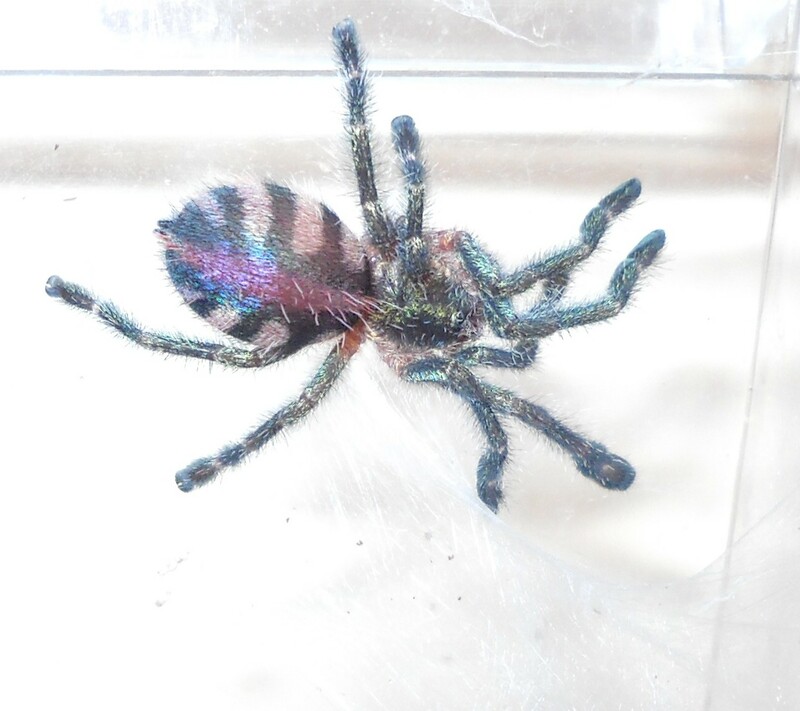 Pretty colors as a little sling, will be dark blue/black with pink toes as an adult. 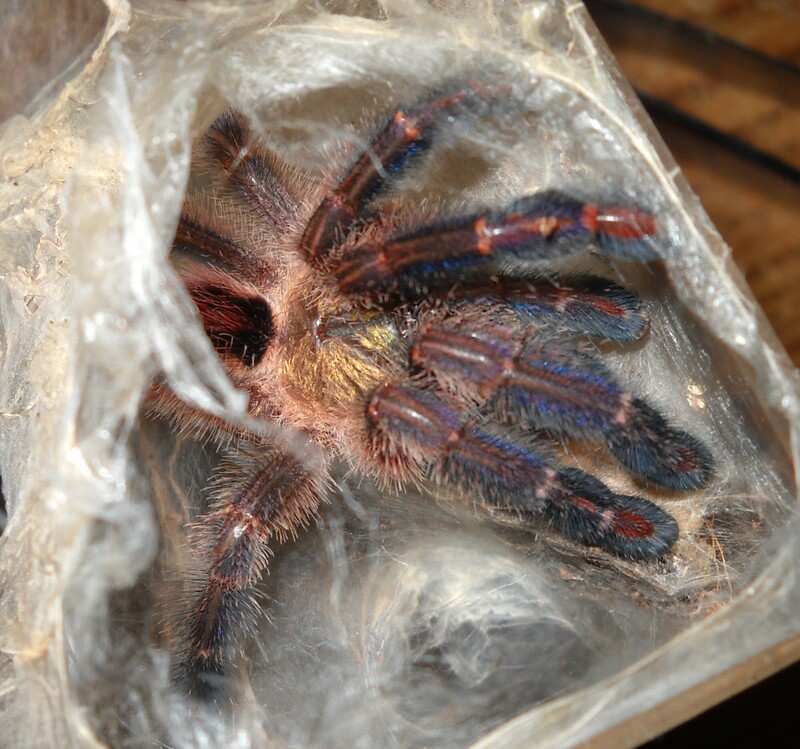 Another molt, and more colors. 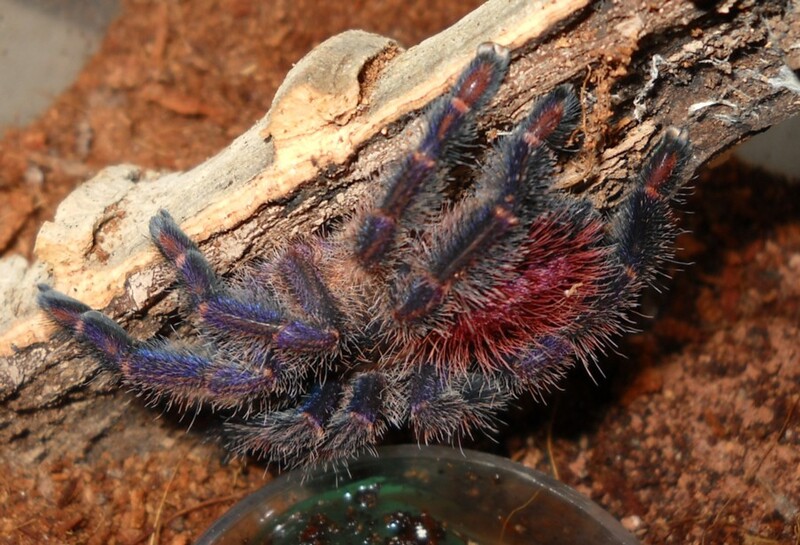 Yes, these are REAL and natural colors on this spider. 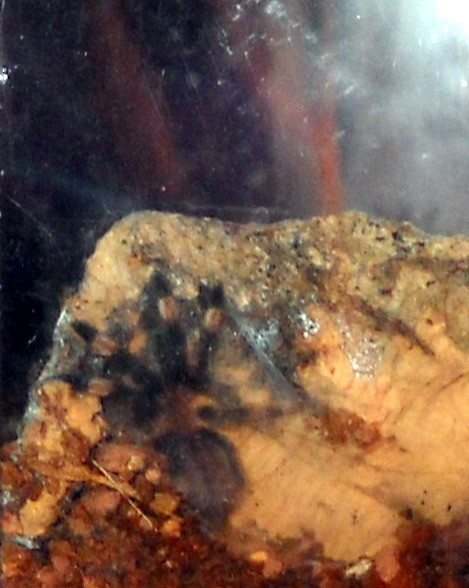 Avicularia diversipes. Still only about 2.5" DSL - eating well, and webbing too. 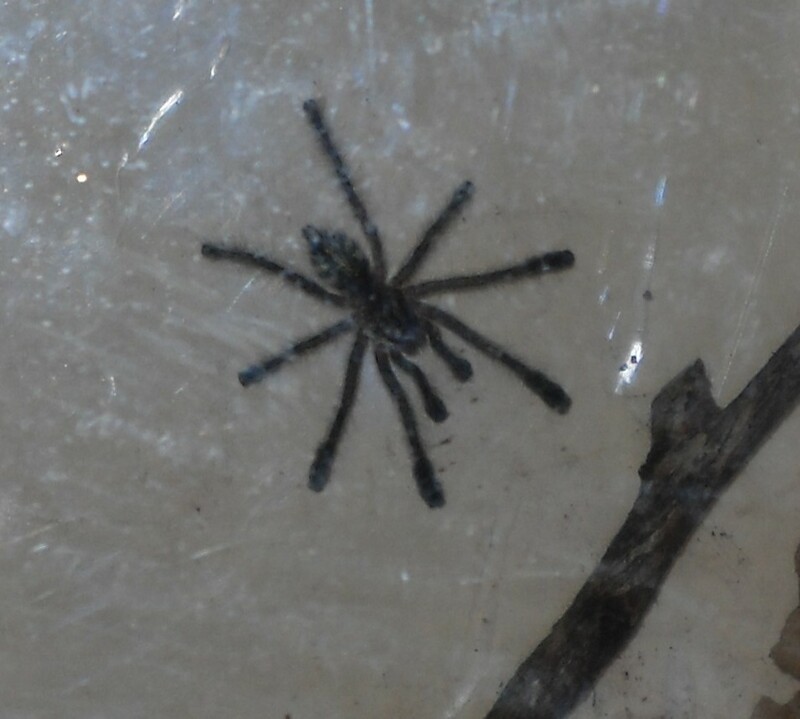 Domino surprised me an molted again the second week of June. 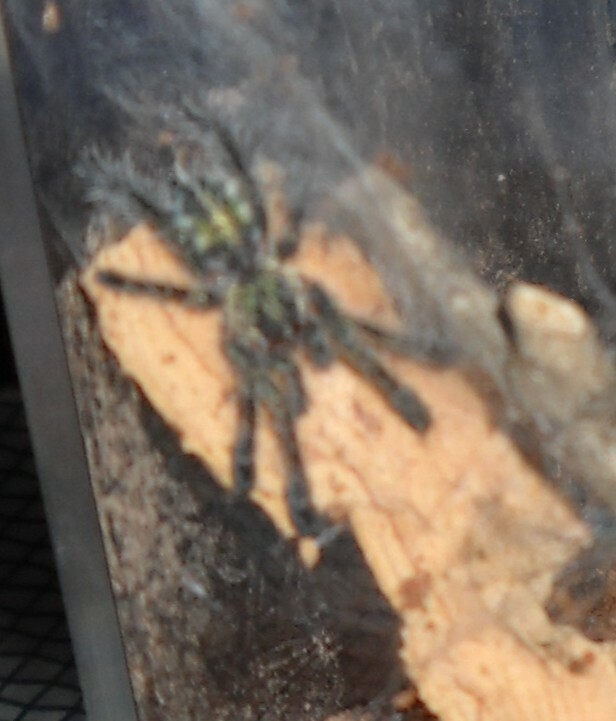 Even though "she" is scrunched up in the hammock, you can see some of the amazing colors on the carapace and legs. I can't wait for her (him) to stretch out one day and get a really good photo! 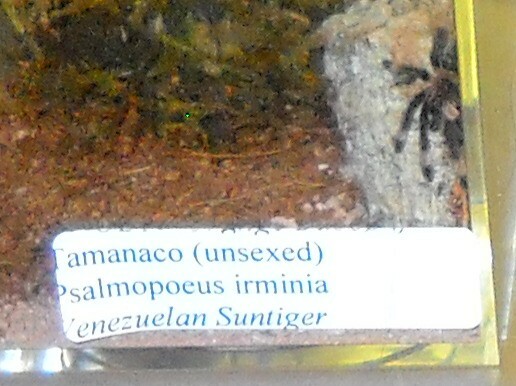 Tamanaco is a teensy tiny Suntiger. You can see that he (or she) is much smaller than this mailing label, which is 1 3/4" x 1/2". Right - Taminaco in April. Suddenly he is not so teensy. 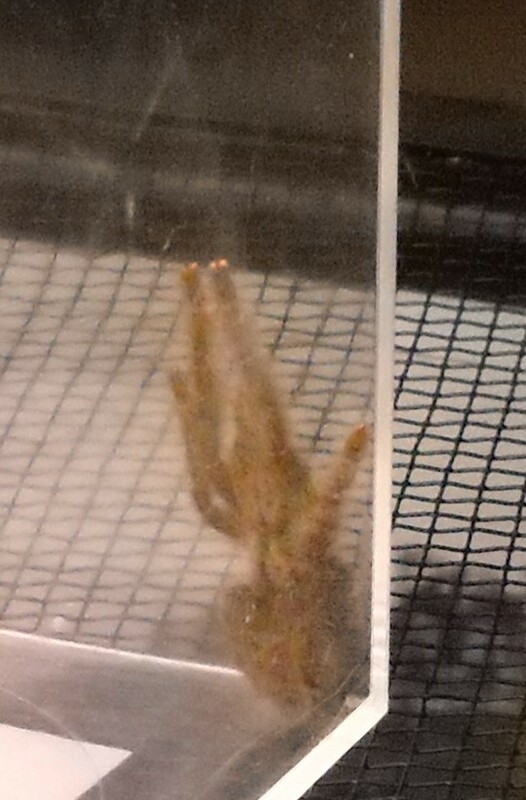 With two recent molts, he's closer to a 3" DSL. Unlike his larger kin (Burning, Bright and Sundancer) he frequently sits out in the open for me. 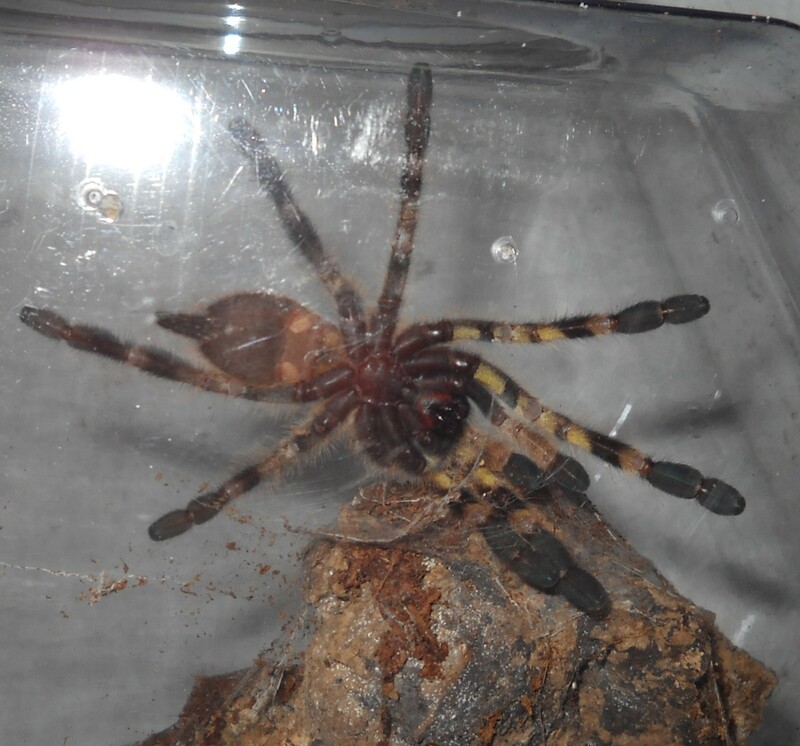 Wild Rover, the P regalis sling. Mad and merry chase all over the desktop. Fast little bugger. 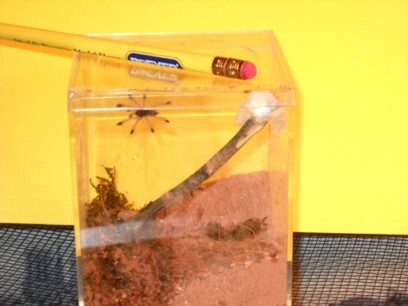 He's in a 3" cube right now. Was supposed to go in a slightly larger one, but chasing him meant that Max got his cube, and he got Max's. Oh well. He has plenty of room, and will get rehomed again later. 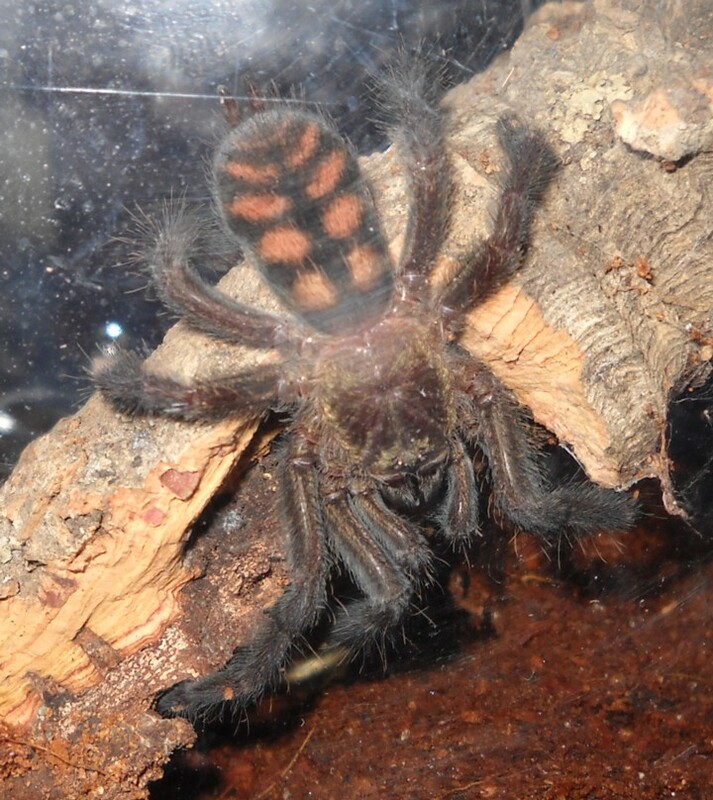 Being a P regalis, he will look a lot like Sitar when mature. Right now, he spends part of his time on the wall, and part of it in his hide. 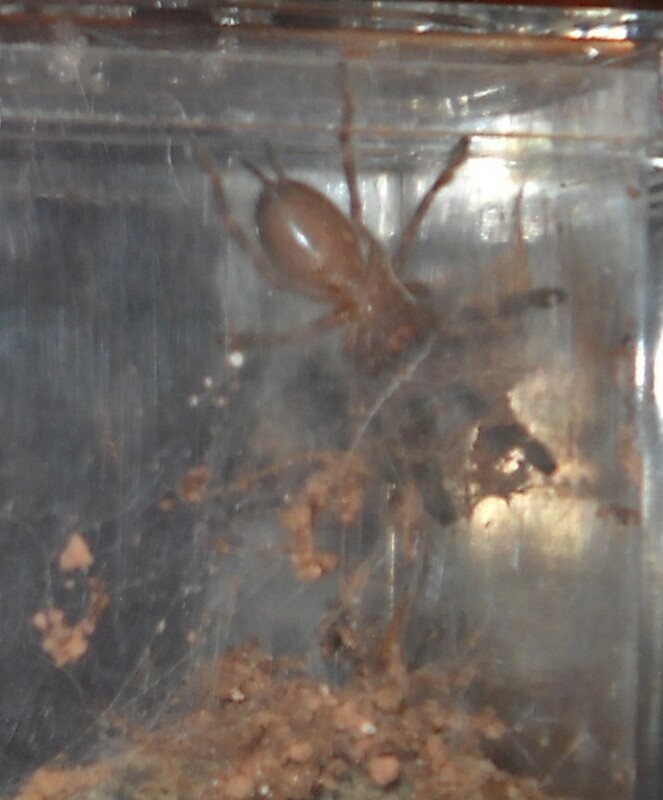 Rover has molted at least twice now. Starting to look like a regalis, and over 2" DLS.